A vivid bouquet with bright, vibrant colors. 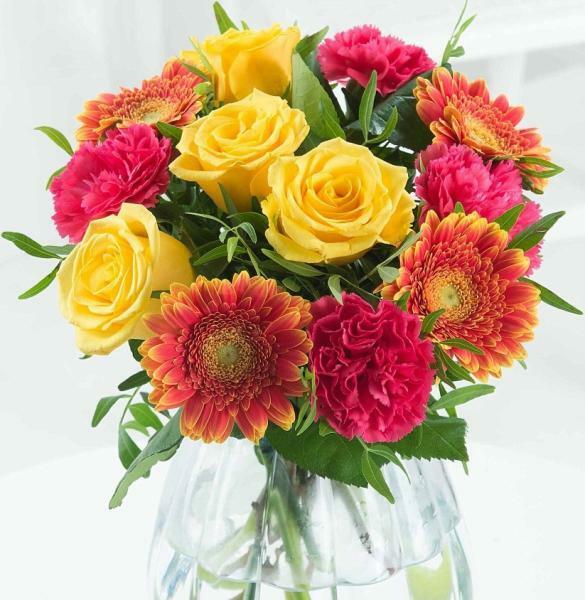 Lovely yellow roses arranged with absolutely stunning cerise and orange flowers. Order the vase separately.